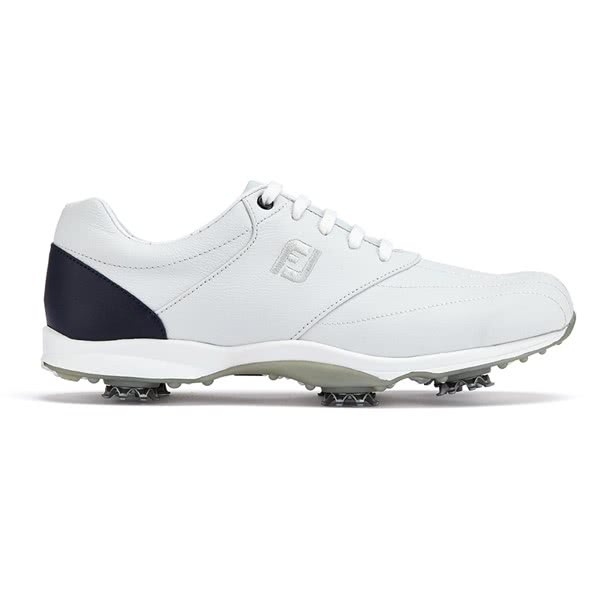 Sizing Guide The FootJoy Ladies emBODY Golf Shoes feature the perfect blend of premium materials, classic style and the protection to enjoy year-round golf in this classic shoe. 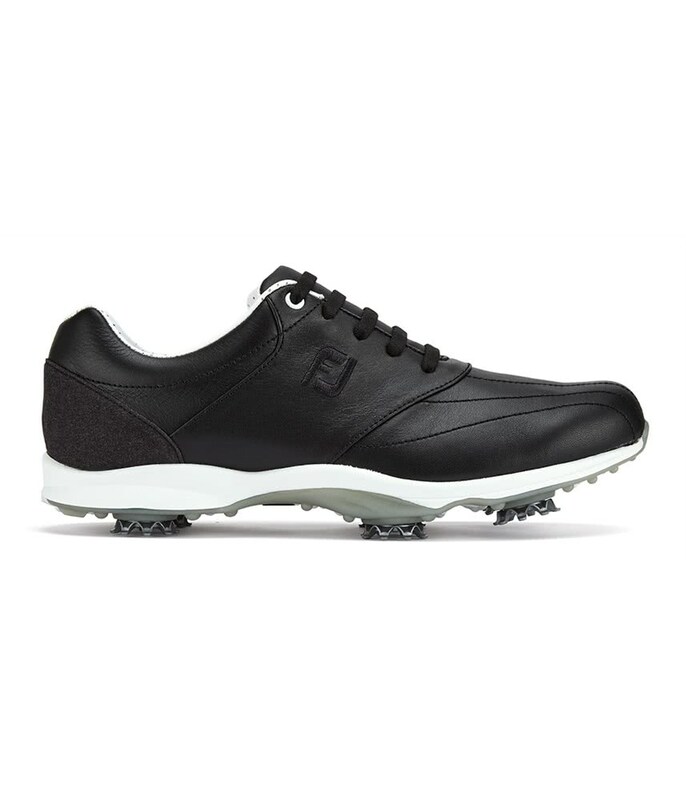 FJ have used a premium NappaLuxe leather upper which offers excellent waterproof protection, sumptuous comfort and visual appeal. 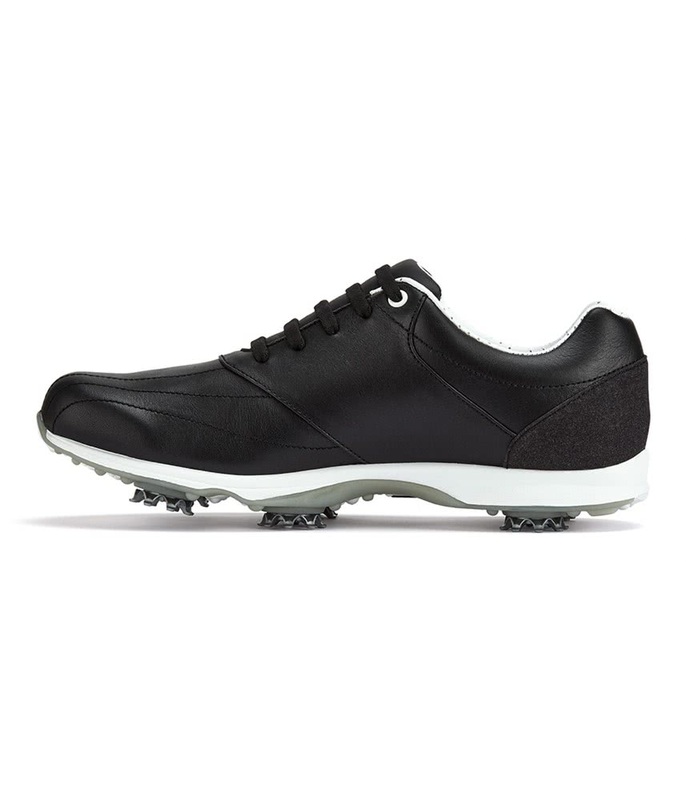 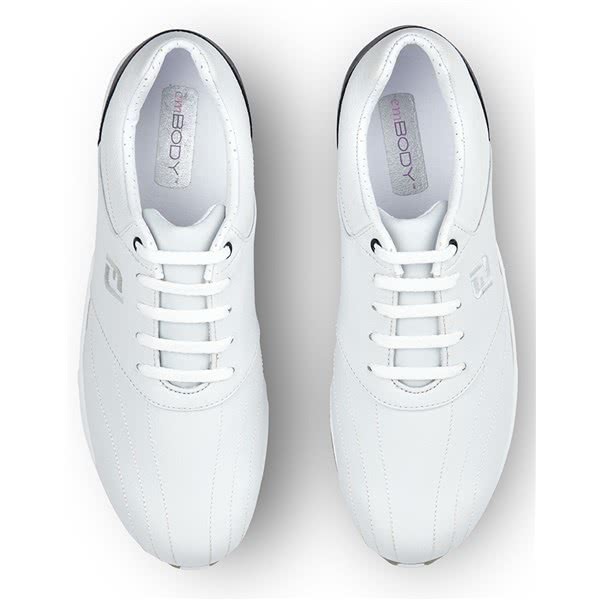 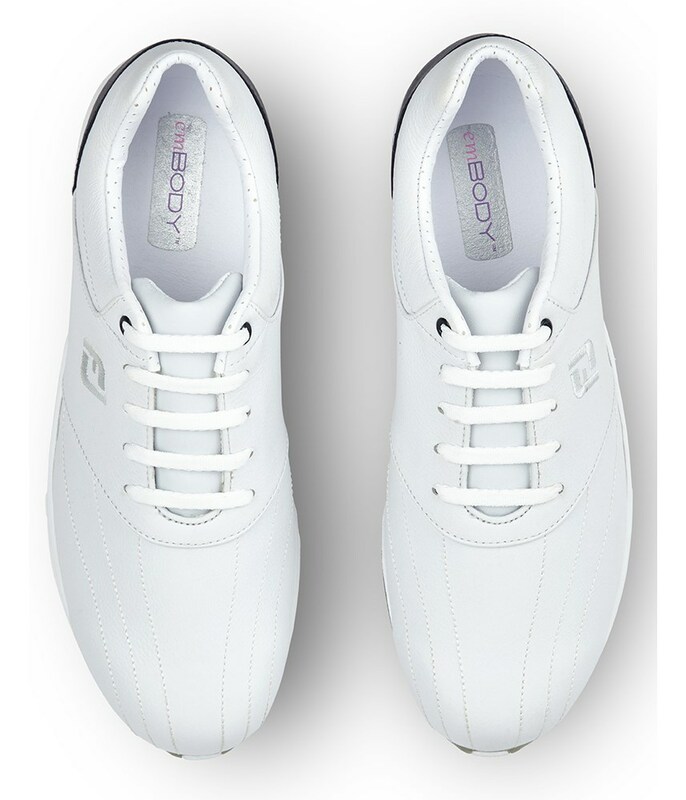 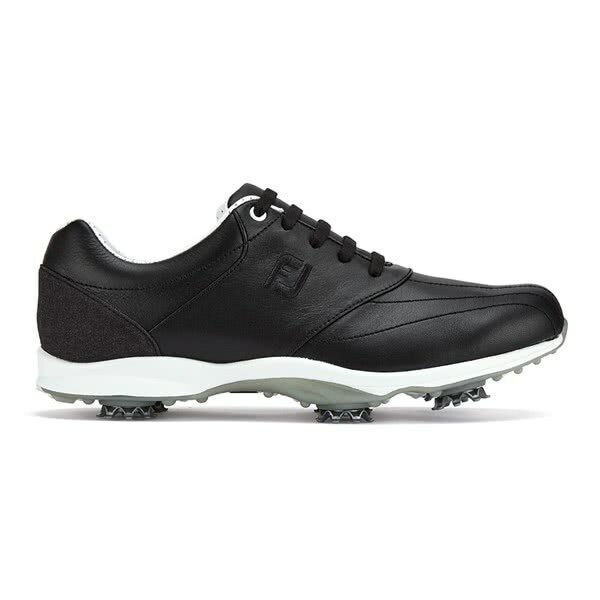 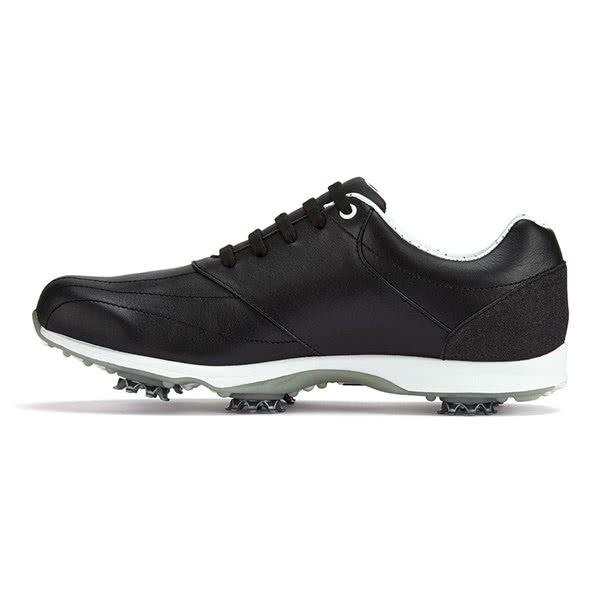 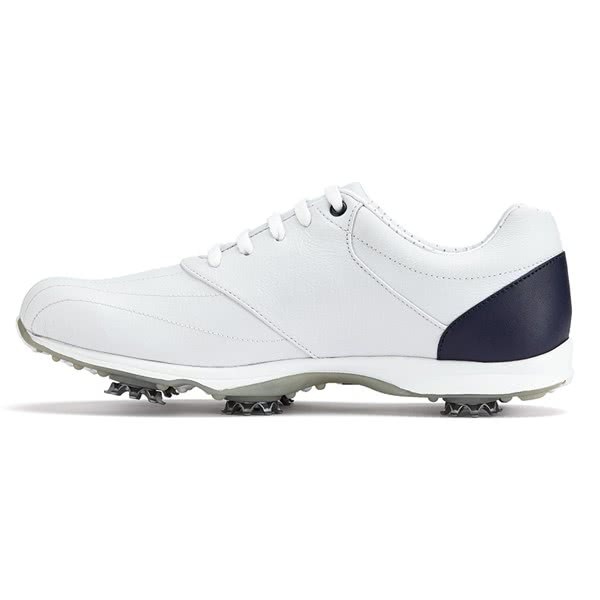 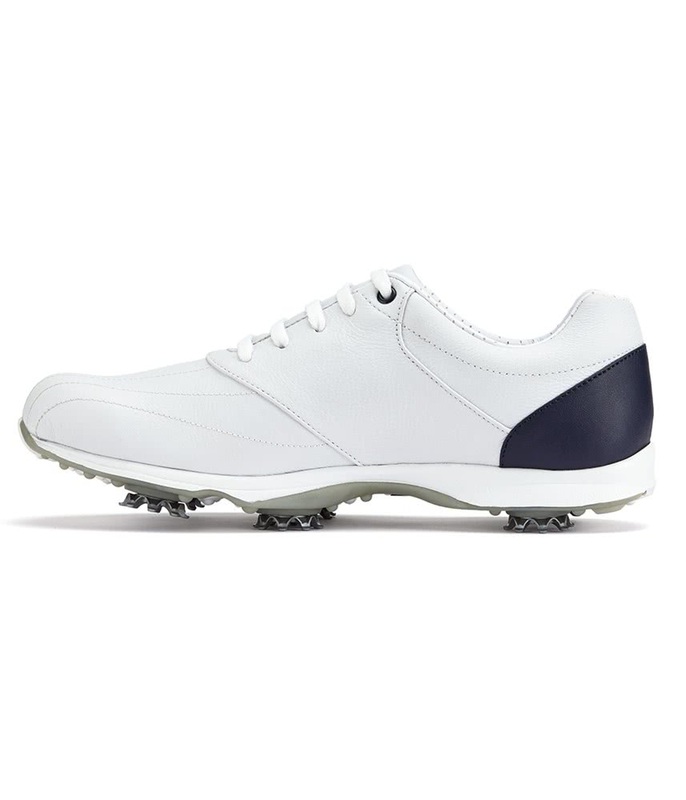 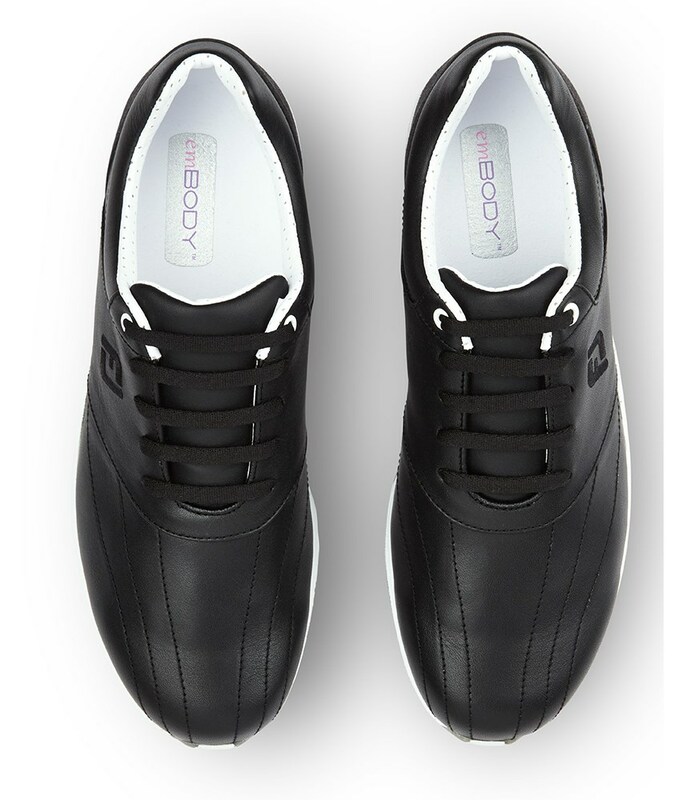 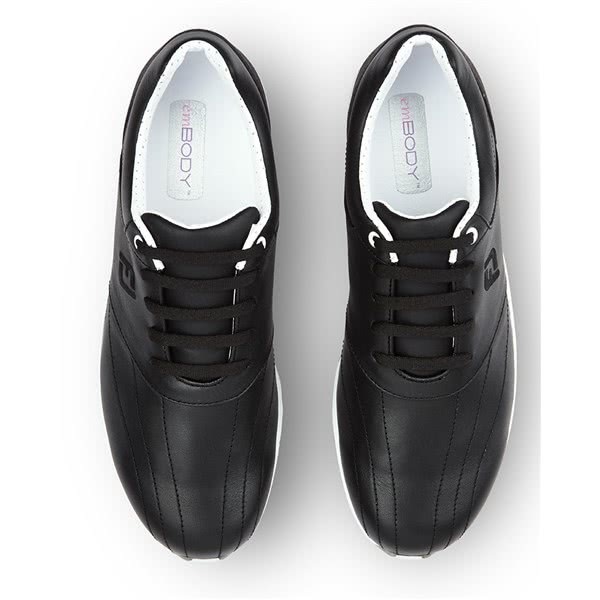 A ladies specific last has been used in the emBODY golf shoe. 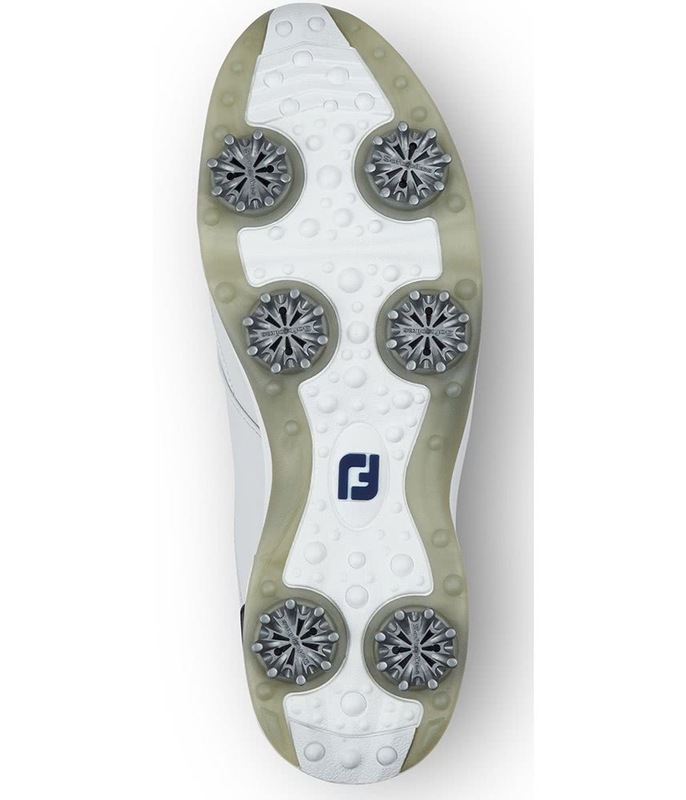 Two width fittings are available in the contour last - narrow or wide. The narrow width will deliver a snug fit whilst the wide fit will give you enhanced performance. 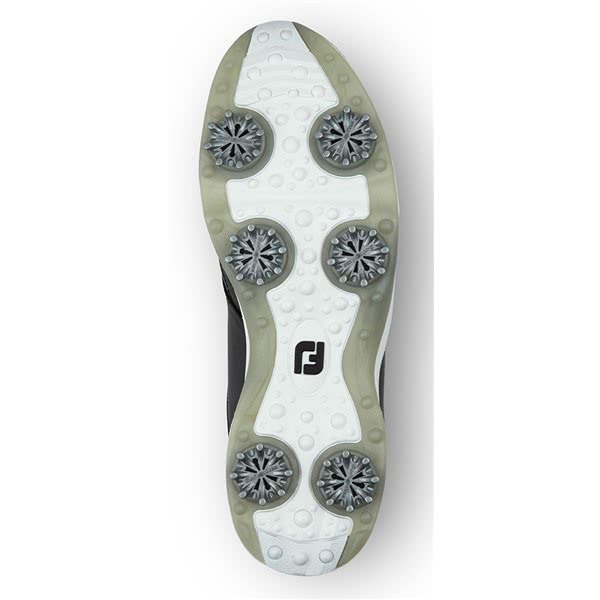 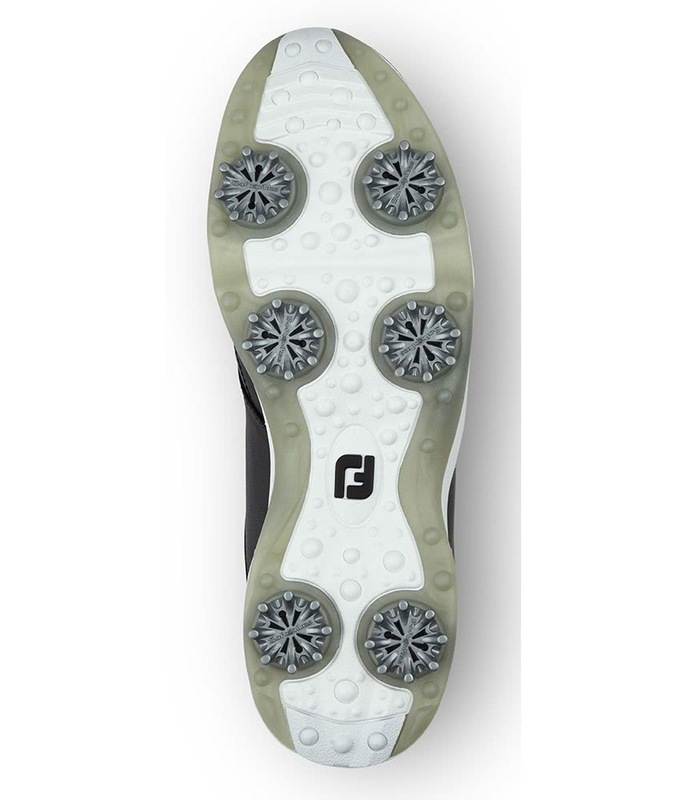 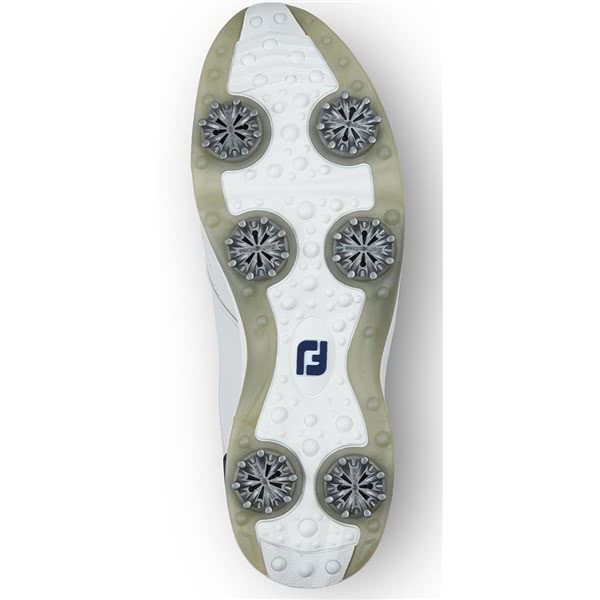 To deliver incredible comfort FJ have used a lightweight cushioned Fit-Bed insole, this particular insole will provide exceptional levels of comfort and support around the heel, it will also dampen vibration to improve walking comfort.